In just 25 minutes I learned how much we are capable of when we put our minds to it. Andy Amick turned his love for mountain biking into one of the most interesting legacy building exercises I have heard. As Andy’s passion for Mountain Biking grew, he discovered a race called “Tour Divide”, which is a 2,745 mile (4,418km) ride from Banff, Alberta to Antelope Wells, New Mexico. After a grueling 24 days, Andy completed the race at with countless stories to share. What was unique about Andy’s story (aside from the run in with a Mountain Lion), was that Andy found it more challenging writing and publishing a book, then riding a bike for 24 straight days. In addition to writing a book, and completing the “Tour Divide”, Andy has built an e-commerce business selling mountain bike specific first aid kits, along with a number of other great resources (find them here). While Andy grew up in an entrepreneurial family, he did not inherit any of these natural traits. He is a software programmer by day and runs this business on the side as a legacy business he would like to pass on to his children. So many industry giants are recognized for building billion dollar fortunes, having a fleet of jets, yachts, mansions, etc. We often fail to recognize the passion-preneurs who have built businesses that reflect who they are and the things they life – like Andy. He has not only preserved his story in history by publishing a book but has built a set of products to help other mountain biking enthusiasts complete their race. We all have a unique skill and passion that can be shared with the world. We just have to be willing to take the first step. Until next week, I hope you find your passion, take action, and begin building the life of your dreams. With Memorial Day around the corner, it is always a great time of year to show gratitude to those who have committed their careers to a life of service. There is no greater sacrifice than that of those who risk their lives to provide the very freedoms we often take for granted. To all those who put themselves in harm’s way and choose to live a life of service – Thank You! What is a better quality life to you? More time with loved ones, more time to do the things you love, or both? The bottom line, is we all want more time (quantity) to do the things we love with the people we love (quality). The challenge, so few of us make the time to do those things. Take this past weekend for example, what did you waste time on? Did you spend the weekend doing spring cleaning, mowing the lawn, or even worse, doing your taxes? If you did manage to spend it doing what you loved, did you feel overwhelmed when you got back home that there was a mountain of “to-do’s” that had been neglected? How much time did you waste doing the things you hated doing this weekend, and what would you have rather been doing (write down the answer in the comments below). A little over three years ago, my wife and I were blessed with our firs child, and a quick 18 months later our second. To say life was hectic would be an understatement. So when the weekends arrived, the last thing we wanted to do was clean our house. We wanted to do something fun, but the guilt of all the “stuff we had to do” would hang over us. While we couldn’t really afford it – we decided to hire a cleaning service. This meant we would get back at least half a day on our weekends. So back to my original point. 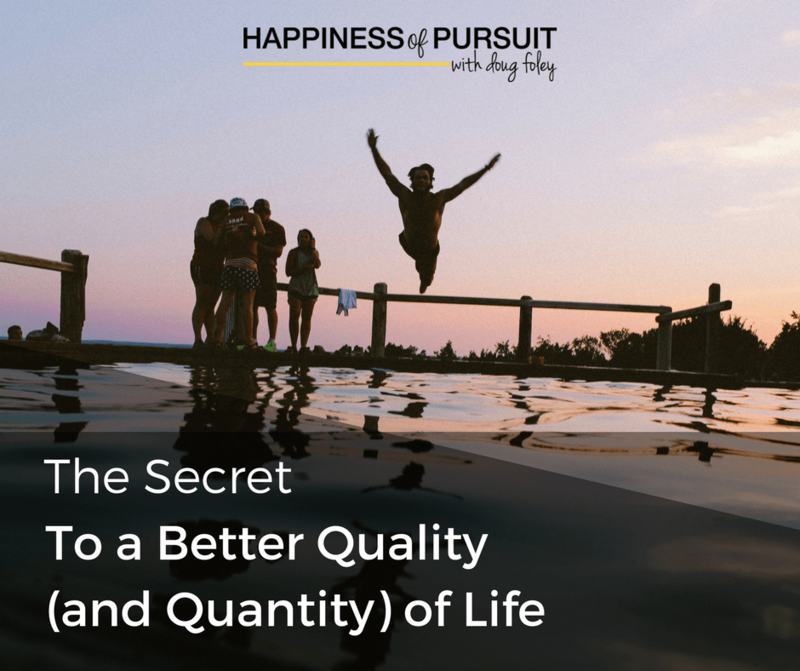 What’s more important to you, a quality life, or quantity? This little investment in a cleaning service gave us both the quantity and quality time we needed! I can imagine at this point, you’re probably having the exact same reluctance we had when it came to hiring someone to clean our house and many of you would probably argue that it is a huge waste of money. The big problem too many of us have, is we have little to no respect for our time. If you make $50,000/year, that is roughly equivalent to $25/hour. If it takes you 4 hours to clean your home top to bottom and you do it twice a month, it is, in fact, costing you $200/month (and for those who have kids know that it takes twice or three times as long to do anything). I can tell you first hand that there are thousands, if not millions of ways to make an extra $100, $10,000 and event $100,000 per year on the side that will allow you to afford to live not only a better quality life but one with more quantity of the things you enjoy. How long are you going to hold on to your PS2, PS3, and XBox? The baby toys? Most importantly that collection of old phones? If you are looking for a cleaning service or a lawn care company, in most places you are looking for $150-400 per month depending on your home. If you can find a way to sell $1,200 – $2,000 of junk, you’re more than halfway to buying back your quality and quantity of life. I’m not going to tell you to stop drinking Starbucks, that will be short-lived. Consider the wasteful spending like the gym membership you signed up for 6 months ago and have been to twice. Take a close look at your credit card statement (especially from iTunes) – are there recurring membership charges from “trials” that renewed. Are you actually using your Amazon Prime membership? There are countless ways to curb your spending, but be realistic when making cuts. Find the things you do not actually use or enjoy, not the things like Starbucks and going out for lunch. We all have a unique skill that we can exchange with someone. Find someone who values that service and exchange quid pro quo. For example, if you are a web designer, but hate yard work. Find a local lawn maintenance company and exchange your services. Just like bartering, everyone reading this has some unique skill they can share and charge for. I have interviewed 75+ people who all have built unique businesses or raised significant amounts of money by combining their passion and taking action. Below is a quick graphic summarizing one of my favorite visuals for finding your “Ikigai” (your ideal business). Once you have found that, you can reach out to your friends and family to ask how you can help. It may be as simple as helping tutor the kids of friends and family members on math, or English? If you want to do some freelancing work, you can use websites like UpWork of Fiverr. I want to be clear, and this is the reason I left this as the last point. I do not suggest this option as a means to buy back your time as something that is simple. It takes a conscious effort to build a business, however, if your goal is to make an additional $1,250 – $1,500 you will have a lot more fun making money on the side doing what you love, to afford the better quality life, than undervaluing yourself and doing the chores you hate. What’s next in creating a better quality life? Action Step: Write down the thing you wasted time on this weekend (or something you hate doing on a regular basis). Immediately below that, write down what you would have rather been doing. Once you the two choices besides one another, you can make a clear choice on what you do next. Do you invest in building a better quality of life, or do you continue to undervalue your time? I hope this inspires your journey to earn your first dollar and being to build the life you want. Please leave your thoughts in the comments below. If you need help on coming up with an idea, or figuring out which part of your life to outsource first, leave it below.